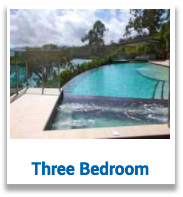 Whitsunday Apartments, part of Hamilton Island resort are fully self-contained and have a swimming pool in the complex. 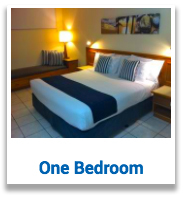 Offers Deluxe Coral Sea, Sea View or Garden View apartment which can sleep up to 5 people. Beautiful self-contained holiday apartment with swimming pool and spa in complex, located just minutes from the beach or Marina Village, includes buggy. 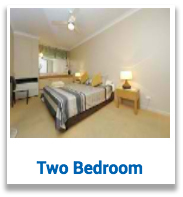 Affordable 2 bedroom apartment with swimming pool in complex, enjoy beautiful sunsets from the patio. Includes buggy. Stylishly appointed this affordable apartment offers many of the mod cons you would expect to find in a more highly priced apartment. Optional sofa bed for extra guests. The spectacular wet-edge pool and spa top off this luxurious apartment which has a spacious private balcony. Buggy included. Spacious apartment with electric buggy, close to the beach and Marina Village. Swimming pool and spa in complex. These villas are located on the center peak with spectacular westward ocean views only minutes from Hamilton Island Harbour. This sub-penthouse encompasses the entire 13th floor. The lift opens right into your apartment. Swimming pool in the complex and buggy included. Amazingly affordable luxury home. 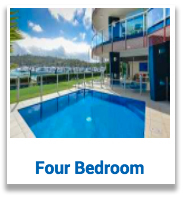 This Chris Beckingham design home is situated in a secluded quiet Cul-de-sac over looking the Hamilton Island marina.